This interactive study on CD-Rom is designed to help you unpack Paul’s first letter to the Thessalonians. This interactive study on CD-Rom is designed to help you unpack Paul’s first letter to the Thessalonians in a way that is both highly informative, yet so simple. With just a click of your mouse, open a world of audiovisual presentations and commentaries. Explore the meaning, background and key themes of each passage and see how it applies to us all today. You can even jot down notes to create your own study based on this timeless letter of encouragement to stand firm in Christ from Paul. 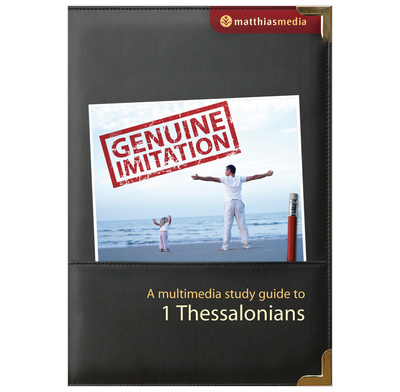 To take a guided tour around the features of Genuine Imitation, have a look at the Matthias Media website.